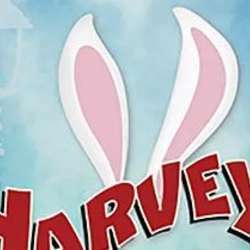 Mary Chase’s Pulitzer Prize-winning play is the story of Elwood P. Dowd, a polite and friendly man with a very strange best friend—a six-foot, three-and-one-half-inch invisible rabbit named Harvey. Elwood’s sister Veta is concerned the rabbit will interfere with her life as a socialite, so she tries to have Elwood committed at the local sanatorium. Veta is so hysterical when she explains her brother’s condition that she is committed instead. Elwood leaves the sanatorium grounds unbothered, turning the town upside down as everyone goes on the lookout for this mild-mannered hero and his invisible rabbit. Or is it invisible? NOTE: I have purchased my ticket and am sitting in Row B Seat 116.